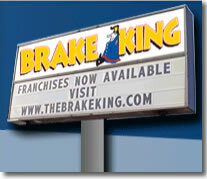 If you are looking for information on the Brake King franchise business opportunity, Brake King franchises or Brake King franchising, then you have come to the right place. BRAKE KING offers you the opportunity to operate a business that provides a wide variety of auto repair and maintenance services under one roof. With service technicians who are well trained, knowledgeable, and exhibit a demonstrated commitment to providing quality service, Brake King exceeds the expectations of customers and is first class in the auto service industry. 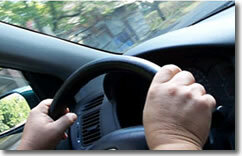 Our organization is passionately dedicated to your success as a Brake King franchise partner. Prior to your grand opening the Brake King support team will assist you with site selection, negotiation and development, financing and comprehensive training in The Brake King Academy. Throughout your career as a Brake King owner you will receive continued marketing, purchasing and operational support. Our talented real estate and development team assists you throughout the entire site selection and development process. From canvassing markets to lease and purchase negotiation our team is there to support you. Brake King is deeply committed to continually raising the awareness of its brand. 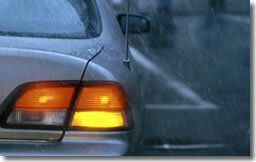 We are so committed that we offer the services of our own in house advertising agency to all of our Brake King owners. Our marketing professionals work with each of our franchise partners to plan, develop and manage their marketing needs on an ongoing basis. Our corporate team works with our supplier partners to ensure that our Brake King franchise partners are ensured ultimate value through the best products, the best prices and timely dependable service. The Brake King Academy is a 5 week training program that features both classroom and on the job training at our corporate store. Once a Brake King store opens our franchise partners receive continued support and interaction from Brake King USA, Inc. in the form of; in-store visits, operational updates, training seminars by franchise business partners and quarterly meetings. We invite you to learn more about acquiring your own Brake King franchise and discover how you can start turning ordinary customers in to Brake King Ambassadors - for life!